Steem Advent Calendar 2018, Day 11 winners! 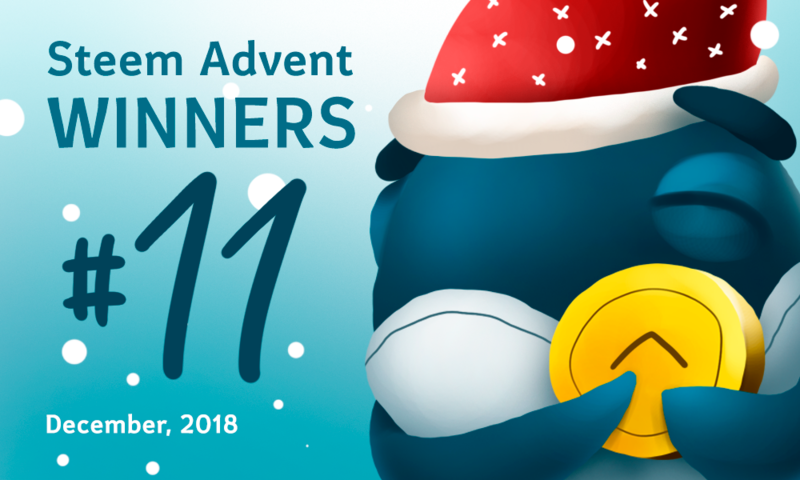 We would like to congratulate our winners of Steem Advent Calendar 2018, Day 11! Winners are getting Day 11 post reward (50%, 30%, 20% respectively). Congratulations! Rewards will be powered up soon! And please continue your awesome participation. There is still a lot of time before Christmas! Awwww........ I made it once again. My month has had the joy it wants because of @esteemapp. I thank the entire team a lot and congrats to the other two winners. Wow! I'm a bit speechless at the moment. The real win, is being a part of this great community!!! I have already winner Top 3. "Comments and eSteem Giveaway in the discord." Thank you for your incredible giveaway. Merry Christmas to all.